**The prices are indicative, the treatment plan and quote are always prepared in Euro. However, the payment of the treatments is possible in another currency as well (current daily Eur exchange rate). We offer several free services to help our international patients to organise their trip and their stay in Budapest. 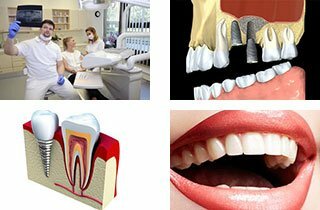 As soon as we have agreed on a date for your implant surgery, our personal dental assistant will help you to find and book the most convenient air or train tickets. She will also send you the list of our partner hotels near the clinic. Upon your arrival in Hungary one of our drivers will welcome you to take you to your hotel or your clinic. Of course at the end of your stay our driver will take you back to the airport or railway station. Of course these services are free of charge. Our medical teams are headed and coordinated by Dr. László Mozsolits chief surgeon. Dr. László Mozsolits is a general dentist and an oral surgeon. He has also specialised in implantology and in aesthetic dentistry. Before founding his own clinics he worked for different dental clinics for decades. Besides his daily workload as a dentist, he regularly attends training courses. One of his fields of interest is new techniques in implantology. He is also part of a team cooperating on technological innovations. It is particularly important for him to build and maintain relationships based on trust.